If you're looking for a fun gift for your favorite foodie, the Avocare flight box is a pretty great idea. The "avo" in Avocare refers to avocado, and the flight box contains full-size (250ml) bottles of natural, basil, chipotle and garlic flavored extra virgin avocado oil. Note that according to the website, the flights they're selling now include those four flavors, plus a second bottle of the natural oil. The box I got included four bottles plus some crackers and tiny little bottles with salt and pepper. Avocado oil doesn't really taste like avocado - it's a rather mild oil with a high smoke point, so it's great for salads as well as cooking. I'd suggest that you save the flavored oils for dressing salads, for light cooking, and as a finishing oil, and use the plain oil for higher-temperature cooking. There's plenty here to cook with, but it would also be a lot of fun to include these in a tasting party. sampling the different flavors brushed on crostini or as a dipping oil for bread. All the flavors were good, but I have to say that I liked the basil best. But ... that's probably because I'm a big fan of basil in general, and it also pairs well with the garlic oil - just imagine those two on a pasta salad with tomatoes and fresh mozzarella. Who's it for: Anyone who wants to use flavored oils. Pros: Yum. Really a great gift - many tasting boxes include small bottles - these are a nice size, and the box is nice and solid without being pretentious. Wishes: I hope they consider adding more flavors. Alton Brown is famous for disliking what he calls "unitaskers" in the kitchen. Those are items that have just one use. He's usually talking about things gadgets that have a very narrow purpose. Like a caviar spoon. But really, we have a lot of tools that have one basic use. Knives cut, graters grate, and ovens bake. And cutting boards are just a surface for holding things that you cut. Sure, you could use a cutting board to smash something, but there are probably better things to use. But what if a cutting board could do something else? The Origami Cutting Boards from Mastrad (they come in a set of two) fold up and snap together to form bowls. It's kind of a neat idea, particularly for people who don't have a lot of storage space. And the folded bowls are kind of interesting looking. You probably wouldn't use them for a fancy dinner, but they'd be great for snacks or casual affairs. 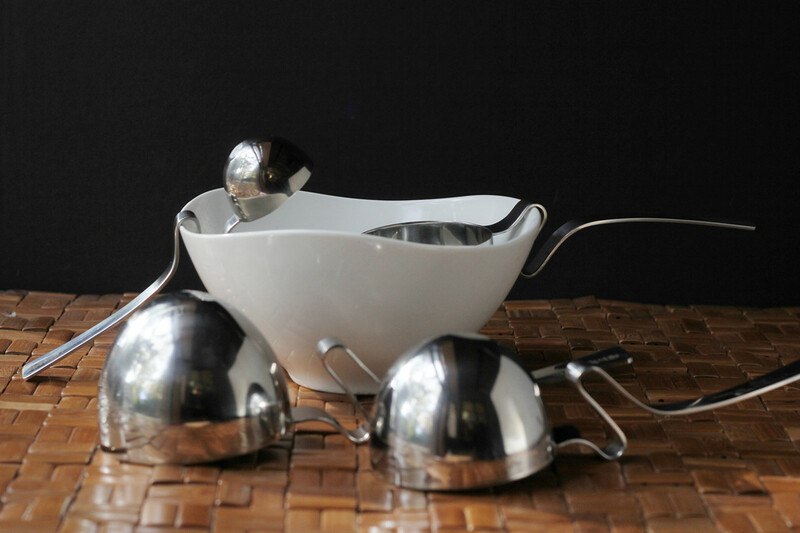 Who's it for: Great for folks who are short of storage space and people who like quirky bowls. Pros: Dual-use item. Easy to store. Dishwasher and microwave safe. Cons: Once they've been folding into bowls, they don't lay completely flat, so they're not the perfect cutting board for all purposes. Wishes: These would be awesome if they came in different colors. You know those big red plastic cups that tend to show up at casual barbecues and parties? Well, apparently they're not just inexpensive drinkware, but they've become a "thing." There are a whole bunch of other products dedicated to the look of that classic red cup. 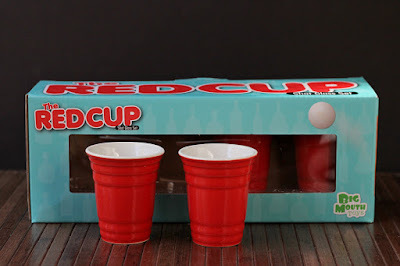 One item that I thought would make a useful gift rather than just a haha-funny grab bag gift was the Red Cup Shot Glasses . 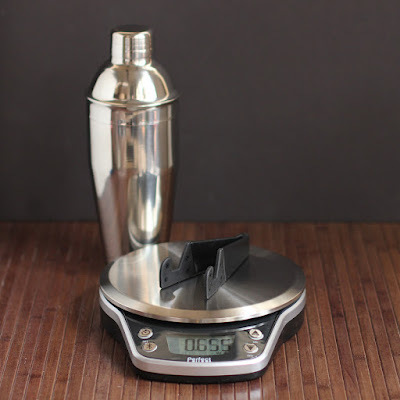 Of course you can use them as shot glasses, but if you don't often serve shots, then they'd be great for individual condiments, flavored butters, sauces, soup shooters, tasters, mise en place, tiny desserts, or for when you want to give your guests some extra stuff that they can add to their own plate. For being a fun item, these are solid, dishwasher safe, and they stack fairly well for storage. They actually look higher-end than the cups they represent. And let's face it, they look cute. I doubt I'll ever use mine for shots, but I'll definitely be using them. Who's it for: People with a sense of humor who like fun and casual serving pieces. These won't match with that heirloom crystal all that well. Pros: Fun gift item that's actually useful. Comes in a decent box for easy wrapping. Cons: Possibly too simple as a stand-alone gift. Wishes: While the red cup is a thing, they'd be fun in a multi-color set. You might be familiar with GIR (Get it Right) because of their spatulas. But they also make silicone lids. I wrote about their round lids (in a pretty large variety of sizes) before, but now they've created rectangular and square lids to cover the rest of your pans and casseroles. The lids are sold individually in 9x6 and 9x13 rectangular sizes and a 9x9 square. You can also buy a set with the 9x6 and 9x9 lids. These are a similar weight as the larger round lids. While they don't stick to or stretch around pans, they're heavy enough to stay in place if you set them on top of your pan. And if the pan's surface is smooth and you press down a bit, you create suction that keeps the lid attached to the pan. Needless to say, if you've got rising bread dough in a pan, you won't get that suction. What you get is a lid that allows the extra gas to escape but it's still heavy enough to seal again, unlike plastic wrap that just flaps in the breeze if it comes loose. I use the round lids all the time - to cover pots on the stove, to weigh down food that wants to float in water or a sauce and to cover bowls. The rectangular and square will be just as useful for square and rectangular things - and you could use them to cover round things that you want to vent - like when you're microwaving something and don't need it fully covered. Nice, eh? They're dishwasher safe, so they're easy to clean, and GIR makes their products in a pretty wide range of colors, so you can match your kitchen, choose your favorite color, or just go random. Who's it for: People who need lids for things that don't have their own lids. Pros: Dishwasher safe. Heat resistant. Cons: Now that they've added the rectangular sizes, I'm a happy camper. Wishes: None, really. I think they chose useful sizes. I am a huuuuge fan of parchment paper for lining baking sheets when I'm making cookies. Huge. But what I'm not a huge fan of is cutting parchment to fit certain pans. Which is a great thing to do if you want to make sure your brownies come out of a pan. But it's just a little too fiddly for me to do unless I know it's absolutely necessary. The solution to my fiddliness problem is to use reusable "parchment," so I only have to do the fiddly thing once and I can reuse the parchment over and over and over again. I tested a Cookina baking sheet in my favorite 9-inch square baking pan, cutting it to fit the pan with just a little overhang over the top to make it easy to grab the sheets to pull the baked goods from the pan. Cutting it was no more difficult that cutting parchment or paper, and fitting it was just a matter of measuring, folding, and cutting along the folded lines. Then I creased the liner where I wanted the folds to be, and slipped it into the pan. Easy peasy cutting and folding. And I only had to do that once for multiple uses. The way I cut mine, all four sides are parchment-lined, but for other types of pans - like bread pans with sloping sides, for example, it might be easier to cut a strip so that the parchment covers the bottom and two sides, while the other two sides are left uncovered. Or, for something round, like a cake pan, you could cut a circle for the bottom of the pan, because that's where the scary sticking happens, and it's easy enough to run a thin spatula around the outside edge of the pan to make sure that it's loose before you turn it out. Of course, you can use the Cookina sheet as regular flat parchment for baking whatever it is you bake on baking sheets. 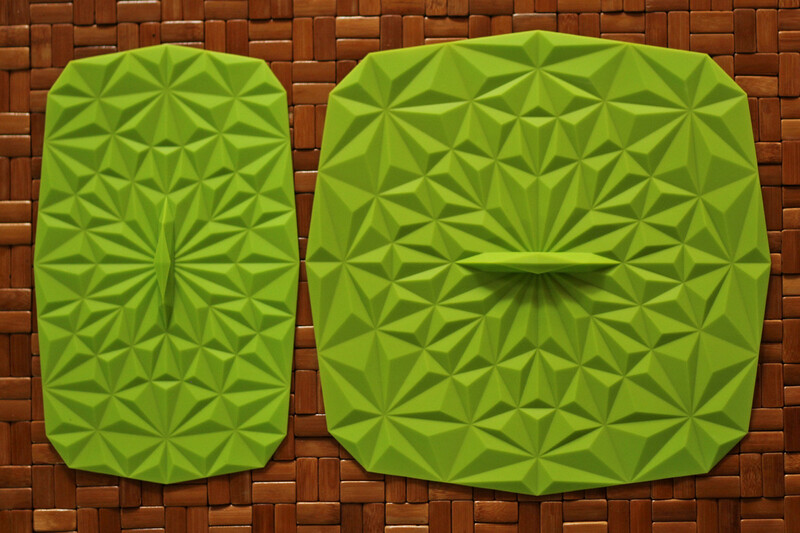 But me, I'm more excited about going all origami with them and fitting them into the baking pans I use most often. For storage, I just fold that cut sheet flat and store it inside the pan. 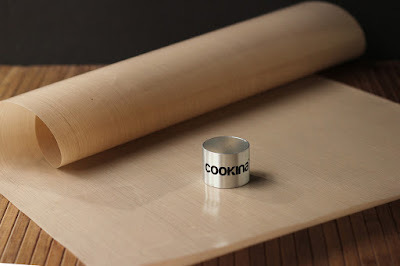 If you keep the Cookina as one big flat sheet, it comes with a metal ring that you can use to keep it neatly rolled up, so you don't need to save the box for storage. BUT!!! These aren't just for baking baked goods. That sounds weird, but you know what I mean, right? 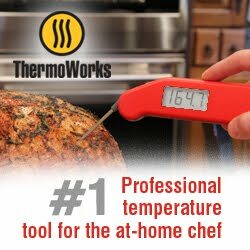 You can use them for other types of oven cooking when you want easier cleanup, like when you're roasting vegetables or baking chicken or fish or whatever. Who's it for: People who bake sticky things. Cons: While they are reusable, they aren't permanent. Eventually, they would need to be replaced. Wishes: It would be nice if there was another color option. There might be a time when I use one to bake fish or roast hot peppers, and I might not want to use the same sheet for my delicate sugar cookies. Thus far, they haven't picked up any odors, but I haven't used them for anything very pungent, either. So, just for peace of mind, it might be nice to have different colors for different uses. The one tool that pretty much everyone needs in the kitchen is a knife. Or two or three, really. It's nice to have a small knife for paring and a large one for heftier slicing and chopping tasks. A mid-sized knife is nice for basic cutting, when a chef's knife is too big or too wide for the task. And although it's not strictly necessary, I think it's nice to have at least one knife with a serrated edge for cutting tomatoes and similar foods. That sounds like a lot of knifes, which could be expensive, right? But not everyone needs super-expensive knives. I mean, you can spend a thousand dollars on a hand-made knife. Or, you can pay your mortgage. And there are some people who really don't need knives that are in the sort-of expensive range. Like people who are just starting out and have tons of other things to buy. Or people who are living in dorms or who have room mates who might not take great care of the kitchen tools. Or people who don't cook a lot and only need basics. Or they'd be great knives for your picnic basket or vacation home or maybe you'd take one to work for sandwich and salad cutting at your desk. The coated knives from Kuhn Rikon are perfect for all those folks. They're good knives, but not expensive. they're coated so they're easy to clean. They're different colors, so you can ask someone to hand you the red knife or the blue knife and you know you'll get the right one. 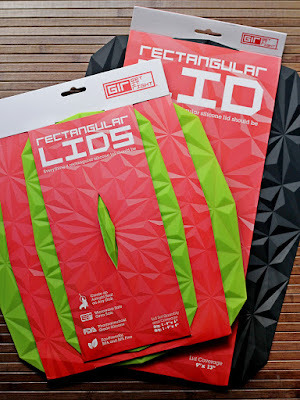 They come with sheaths, so you can safely store them in a drawer. The set I got came with a larger slicing/chef knife, a small serrated knife, and a mid-sized thinner utility knife. I've been using this set for a while to test them, and they've been fine. Unlike some other alleged non-stick knives I have, these slide easily through food. They're sharp enough for cutting carrots and slicing meat and the serrated knife is nice for tomatoes. I haven't tried sharpening them yet, but I don't see any reason why you couldn't. Depending on how you go about it, it could mess with the coating on the very edge of the knife, but I don't think that's a big deal. Knives are for using, not for displaying. Who's it for: People who want good but not expensive knives. Pros: Decent knives for the price. Cons: These aren't the knives you'd buy for a budding sushi master. Wishes: For the price, you really couldn't ask for more. I don't usually write about cleaning products here, mostly because I think cooking is a whole lot more than cooking. Cleaning has to be done, but ... yawn. However, the Angry Mama Microwave Cleaner from NewMetro Design amused me enough to want to tell you about it. It's simple, really. You rip mama's head off, add white vinegar and water to the designated lines, and microwave mama on high for 5 minutes. Steam comes out of mama's head - which all by itself is really amusing. But the deal is that that vinegary steam helps loosen the splashes and splatters in your microwave, so you just wipe it down. The little bit of vinegar water left in mama can be poured out and used to do a little extra cleaning inside the microwave, or outside. I can hear you saying that you can simply put vinegar and water into microwave-safe mug and just microwave that. But think about it. When you've accidentally boiled something for too long in the microwave, what happened? Yeah, it boiled out of the container and left a puddle. Since the Angry Mama is sealed with holes on top, you get a lot of steam rather than a lot of boiling over. Yes, it's not the most essential thing in the kitchen, but it's useful and funny, and if you prefer using natural cleaners, this works well. If you had a bad day at work or you're annoyed with a family member ... well, this is a really safe way to vent. If you know what I mean. Who's it for: People with microwave ovens and who like quirky cleaning tools. Pros: It works. It's amusing. It's might even be a stress reliever. What kind of skewers do you use? One thing I've learned about cooking anything on a skewer is that sometimes they spin. You turn the skewer, and the food spins so that the same side is always facing the heat. It's annoying. One other little problem is that depending on what you've got on the skewer, sometimes the whole skewer turns. It's hard to get all sides evenly cooked. So when I got the Kabob Skewer Rack from a company called Cave Tools, I was happy to see they addressed both of those issues. 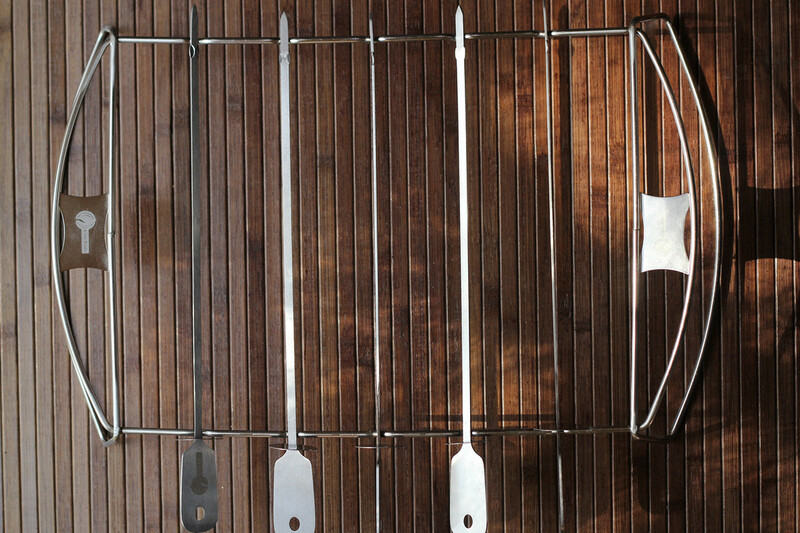 To keep the food from spinning, the skewers are flat instead of round or square, so the skewer can hang onto the food better. They're thin enough that they're easy to insert and remove from the food. There's also a little round ... hmmm ... let's call it a washer, that you can use to push the food off of the skewer. 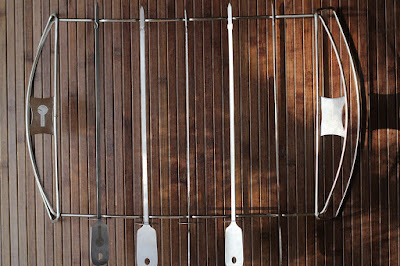 To address the uneven cooking, the skewers come with a rack they sit on, and the rack has special indentations that hold the skewers in different positions at 0, 45, 90, 135, 180, 225, 270, and 315 degrees - eight different positions, so the food will cook on all sides. The one downside to the rack is that it lifts the food higher if you're using it on a grill. But it's not super-high so it should be fine on most grills. And, seriously, you don't have to use the rack - you could just use the skewers. The upside to the rack is that since the food isn't resting on the grill grates, you won't end up with food sticking to the grill. And, you can use it in the oven on a cookie sheet and the food gets heat from all sides. Use the coupon code LHWJZQMZ to get 15% off your kabob rack on Amazon. Cons: The set has 5 skewers and they're not super-long, so you'll need multiple sets if you have a large family or want to use these for parties. Wishes: It would be nice if there were extra skewers included. I love when kitchen products are both useful and attractive. And when I say attractive, I also mean weird or quirky or whimsical. I'm all about the whimsical. The Lid Lifters from Fred and Friends are definitely whimsical. They look like sea monsters trying to get out of your cooking pot. The other whimsical thing is that they change colors. As they are subjected to heat, they turn white, so steam coming from the pot will turn parts of them white. It's odd and amusing. And I guess it also gives you a visual cue that the pot is hot. Probably not useful if you've also got steam coming from the pot, but perhaps useful if you're venting the pot to cool it off and you see that the color has returned to normal. When they cool off, they go back to their normal colors. The useful part is pretty obvious. These lid lifters are used for venting the lid of a pot. Depending on the sorts of pots you have, sometimes you can leave a lid a little bit ajar, but that doesn't always work. Sometimes a little jostle moves the lid enough for it to close again. The lid lifters, on the other hand, simply perch on the edge of the pot so the lid stays propped open. They work really well and since they're made from silicone, they can handle the heat. Who's it for: People who make recipes that require lids to be propped. And who like quirky things. Pros: They work well. They're cute. They're dishwasher safe. They're small, so they don't require a lot of storage space. Great for a small gift or stocking stuffer. Cons: Obviously a unitasker unless you can consider being decorative a use. Wishes: None, really. I'm totally amused. Although I don't have a huge aversion against unitaskers if they do their job well, I also like tools that perform several functions. 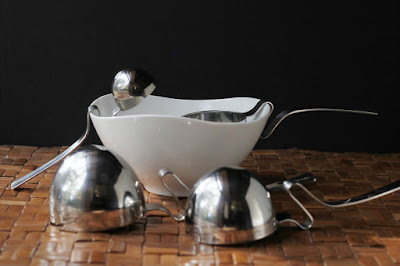 The Livspoons are designed for portion control but they're also pretty enough (and weirdly unique enough) to function as serving spoons. The set of four spoons measures portions of 1 cup, 3/4 cup, 1/2 cup, and 1/8 cup, and the handles are designed to perch on the edge of a bowl so they won't slide into the bowl. The measurement amount are on the bottom of the spoons, so no one will know they're an exact measure unless you tell them, so it's not obtrusive. Of course, if they're your spoons, you'll know the measurements. While the portion control aspect is great for folks who are trying to eat specific amounts of food, the spoons are also useful if you're plating food for guests, so that everyone gets an equal amount, and so that you don't end up with the last guest getting shorted on the mashed potatoes. But really, I think the cool thing is how the spoons can rest on the bowl edge. My usual serving spoons have fairly short handles, and it's happened more than once that a spoon has slid into a bowl or casserole dish. Oopsie. And the wavy handles on the Livsoons makes them look unique, too. Who's it for: People who want an attractive way to portion food in measured amounts. Pros: They work. They look nice. They're dishwasher safe. Cons: Because of the wavy handles, they don't nest completely. Wishes: It would have been nice to have a 1/4 cup spoon along with the included ones. Well, this is an interesting product from Microplane: the herb mill that works with the same sort of action as a pepper grinder. You stuff herbs into the mill and creak-creak-creak grind the herbs onto soup, salad, pasta, or whatever. It's kind of fun, and it's a hands-off way of chopping herbs. If you're chopping a lot of herbs for a recipe, this probably isn't the best way to do it, but for a small amount of herbs (particularly for garnishing) it works well. But where this really shines is for use at the table, where people are adding herbs to their own dishes, whether it's basil and oregano for pasta or pizza, or parsley and mint for a salad or cilantro for tacos. It's easier and less messy than passing around a bowl filled with chopped herbs. Please note that the body style of the herb mills for sale online now (the bottom photo) is different from the one I have (the top photo). I think the new one is definitely more attractive, but the chopping blades seem the same on both models, so the one you buy should work the same way as the one I tested. Who's it for: People who use chopped herbs. Pros: Works well. Great for serving herbs at the table. Cons: Probably not what you want for large quantities of herbs. Wishes: For people who want to offer choices, it might be fun to have different colored mills, so they could tell people that blue is basil, orange is oregano, or whatever. Everyone's got some kitchen task that makes them say, ugh, no, I don't want to. For some people, it's peeling potatoes. Or frying an egg. For me, it's when I'm supposed to tie herbs in a bundle or a square of cheesecloth. I have no idea why this task irks me as much as it does. I just don't want to do it. Nope. Let's either chop those herbs and leave them in the soup, or skip 'em. I've seen Jacque Pepin tie herbs in bundles. It looks simple. Mine don't stay tied and then not only am I fishing for sprigs of thyme and rosemary, but I'm also fishing for the stupid string. I've tried using tea balls, with some success. But trying to stuff several sprigs of thyme into a tea ball is almost as annoying as tying them in a bundle. Too fiddly. 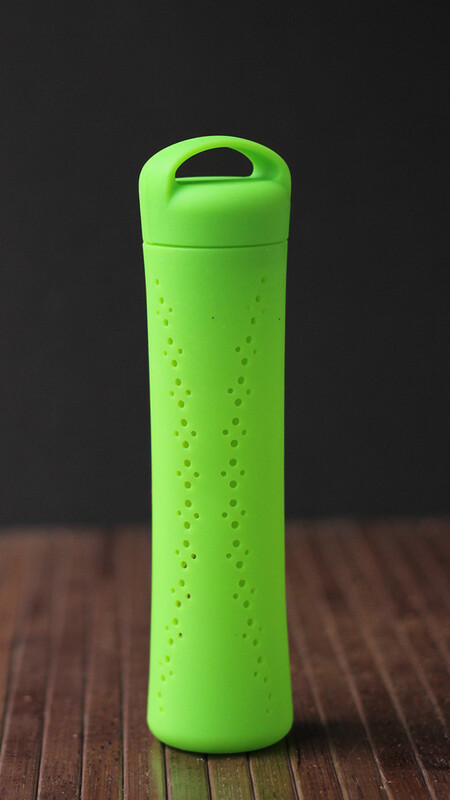 Enter the Mastrad (Orka) Herb and Spice Infuser , a long, slender tube of silicone, with holes in it. How much more simple could it be? You can stuff whole sprigs of herbs in there, along with garlic or even a hot pepper. Then just plop the thing in the soup or stew or whatever it is you want to infuse with the herbs. My one concern was whether the top might pop off if I was stirring the soup and mashed the infuser in the process. So I tried. I poked, mashed, and prodded the thing and the top stayed on. I suppose if I really, really tried, I could torment the thing enough that the top would pop, but it's pretty likely to stay on in normal soup-stirring conditions. Not to mention that even if the top stayed on, the chances of a sprig of parsley or oregano wafting out of the infuser is pretty unlikely. It's a pot of soup, not a tornado. I'm pretty darned pleased with this thing. Who's it for: Me. Or people like me. People who often want to infuse the flavor of herbs into foods without actually having the herbs in the finished dish. Pros: It does exactly what it's supposed to do. Made from silicone, so it's dishwasher safe. Cons: Okay, it's a unitasker. But if you're not using it for soup, you could also use it for mulling spices in wine or cider. Wishes: Sell 'em in a two-pack, so perhaps one could be used for sweet and the other for savory? I don't know how much flavor silicone might pick up, but if you used it for something with hot peppers one day, you might not want to use it to contain cinnamon sticks and ginger for your custard the next day. Or for those days when you've got several things going at once. I know some people hate using a microwave, but I actually get a lot of use out of mine. I love it for steaming vegetables and for cooking hard squashes. But, to be honest, the thing I use it for most is for reheating food. Few recipes are sized for just one person, and that's actually fine with me. I like having leftover dinner for lunch, and I don't mind having dinner re-runs. It gives me time to do other things, like make crazy desserts, breads, cocktails, and salads. The problem with cooking or reheating anything in the microwave - for me, at least - is getting the hot stuff out of the oven. Sure, I have mitts and towels and all, but the CoolGrip Caddy is another interesting option. The caddy has a hole in the center to nestle bowls, so that you can lift the caddy and it grabs the bowl so you can lift it out easily. It also holds plates nicely. And the larger ring around the outside catches spills and spatters. Heavens knows I spill and spatter in the microwave. Heh. While the caddy certainly isn't a necessary kitchen item, it also isn't one that you have to fret about storing. I just keep it in the microwave so it's always waiting for me. Who's it for: People who use their microwaves for more than heating coffee. Cons: Not a required kitchen item. Wishes: I wish it fit in my dishwasher. But that's the dishwasher's fault, really. Lots of normal things don't fit properly. 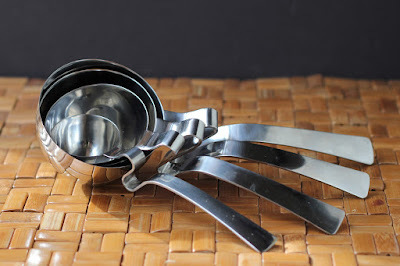 I've long been a fan of lemon, lime and orange squeezers as opposed to hand-squeezing or using a reamer. For one thing, when I use a squeezer, I don't get my hands as messy. And for another thing, it's just easier. You get more juice. And no messy hands. Oh, I already mentioned the messy-hand thing, huh? Seriously, though, I have dry-skin issues that sometimes leads to tiny cracks ... too much hand-washing after getting my hands messy makes it worse, and getting lemon or lime juice into those cracks not only makes it worse, but it hurts like heck. So, if I can squeeze citrus without getting my hands soaked in citrus, I'm a happy camper. I've been wanting to try one of the dual squeezers for a while. It makes sense, so when I got a chance to test one from Zulay Kitchen , I knew I had to try it. 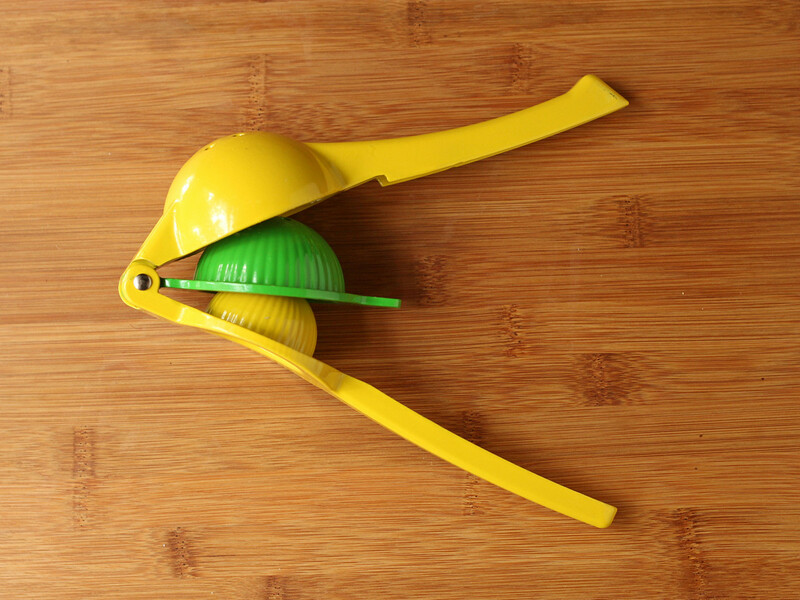 Lemons and limes are the most squeezed citrus in my house, but lemons don't fit in lime squeezers, while lemon squeezers aren't real efficient when attacking the limes. So, a dual purpose squeezer makes a whole lot of sense. One tool can handle two types of citrus (or really, two sizes of citrus) and if you happen to need both lemons and limes, you only dirty one tool. 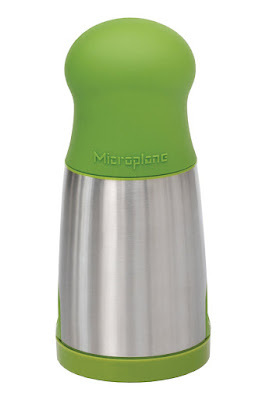 This would be a great stocking stuffer for anyone who cooks or who uses citrus to make drinks. Who's it for: People who need to juice lemons and limes often enough to want a gadget to help with the task. Pros: You only need 1 tool for 2 different types of citrus; works just like the single squeezers. Wishes: Would be cool if it also accommodated oranges, but I a tool that handled all three might be too bulky. But still, it would be cool.